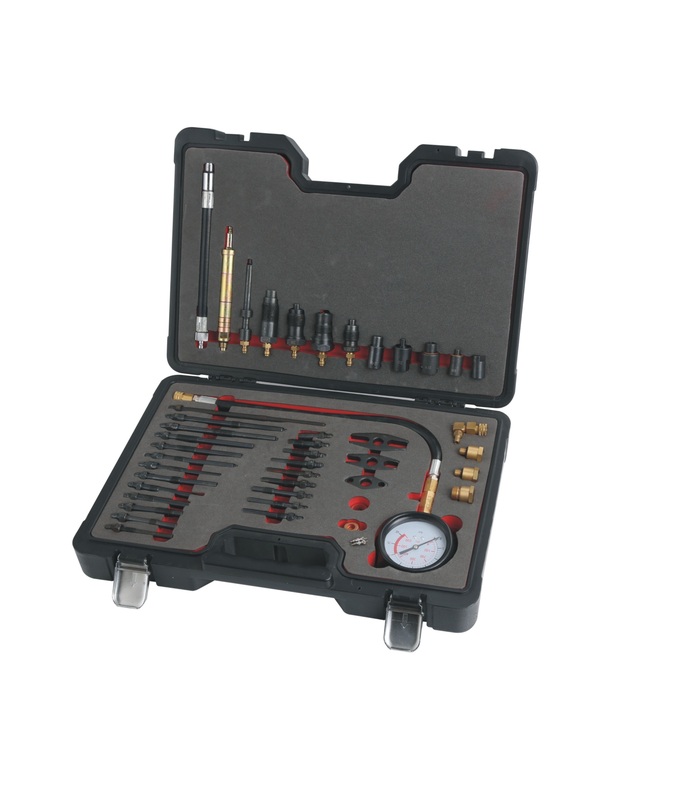 Petrol/Diesel Compression Test Kit by Toolwarehouse. Straight and right angled quick connect fittings and an extensive range of spark/glow plug and injector adaptors. Covers most modern car, van, truck, bus, agricultural and marine engines.